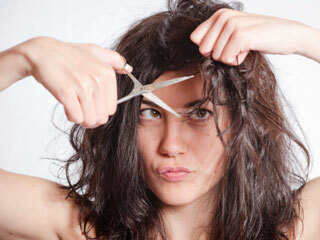 You get split ends when your hair does not get enough moisture. Poor hydration can lead to dry hair. There can be various reasons behind it like poor diet, sun exposure, harsh shampoo, blow drying, straitening, dyes, bleaches or pollution. 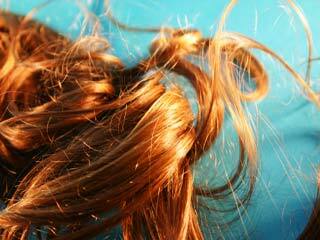 There are several easy ways that you can try to repair or prevent rough ends of your hair. Read on to know seven easy options to treat split ends. 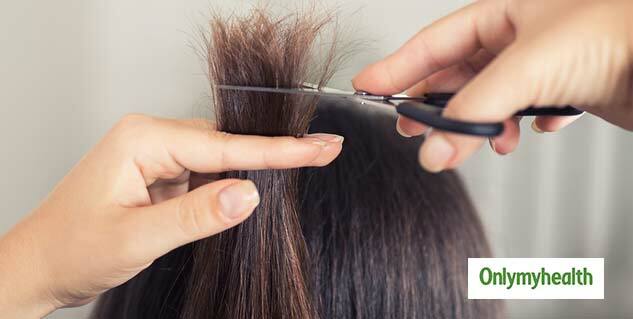 The easiest way to get rid of split ends is trimming (cutting them off). You can either do it yourself or go to a professional salon. You need to cut the tips of your hair, at the point where the divide occurs. Since dryness is what leads to split ends, it is important to deep condition your hair. It will moisturise your strands and helps them to maintain flexibility and natural volume. Apply a conditioner directly to your hair and scalp. Let it rest for at least 20 minutes before you rinse the conditioner out thoroughly with water. This will nourish your hair properly. You need to combine one egg yolk with a tablespoon of almond oil. 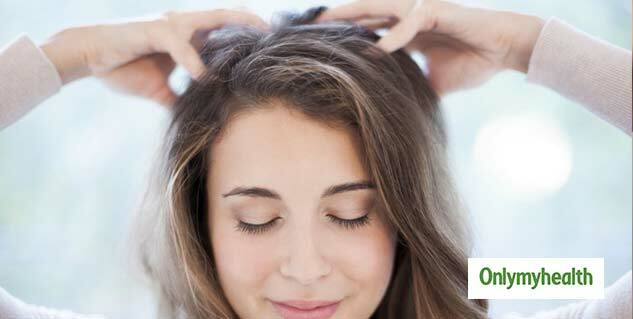 Apply the mixture to your scalp and let it rest for at least 30 minutes. Wash with cold water. You don’t need to eat an avocado to repair split ends but mash up. Apply mashed avocado to your damp hair after you wash them. Mayonnaise is an alternative to avocado which can be used in the same way. Leave the avocado or mayo on your hair for about 30 minutes before you wash it out. 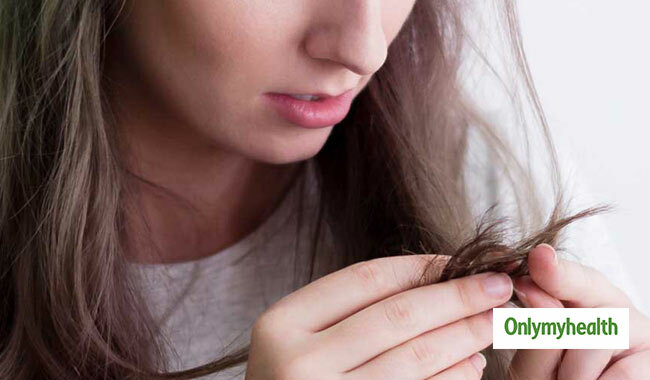 Nutrients are the life of your hair strands, particularly folic acid and biotin have been shown to supplement hair health, length and thickness. Foods rich in folic acid, such as green leafy veggies, oranges, soybeans and wheat, assist the production of red blood cells that boost the growth of hair. Likewise, include brown rice, soybeans, lentils, peas, walnuts and other biotin foods to strengthen your hair from the inside. You can get rid of the split ends by giving yourself an olive oil massage. The massage helps stimulate the scalp, produce natural oils and nourish hair shaft. Massaging with coconut or sesame oil also helps get rid of split ends. Honey may sound sticky, but it is an effective conditioner. Add 1 tablespoon of honey in a cup of warm water. Apply it to your hair after you shampoo, leave it for 20 minutes before you wash hair with warm water. This will help repair split ends besides controlling hair dryness. 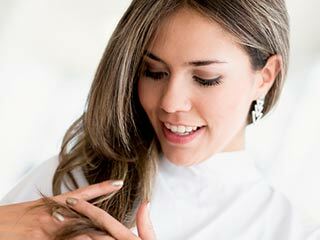 If you want to stop split ends before they start, you have an option to maintain your hair regularly. You need to keep up on your hair trimming schedule, once a month. You don’t need to cut off any hair length, but only the tips. 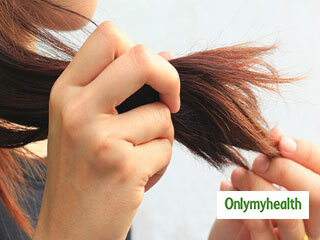 This will keep your hair healthy and prevent split ends.